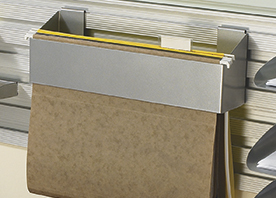 In the home office our track systems can bring all the things you need within easy reach. 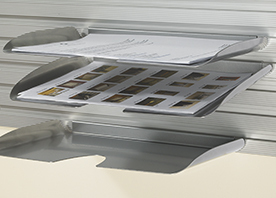 Our trays and file hangers can be placed anywhere along the track - allowing you to have items where you need them. 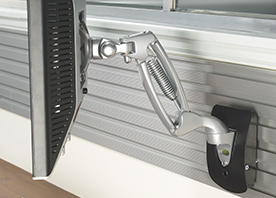 Our monitor arms free up valuable desk space and provide flexible viewing of your computer screen. Shop our full line of Home Office Storage products.